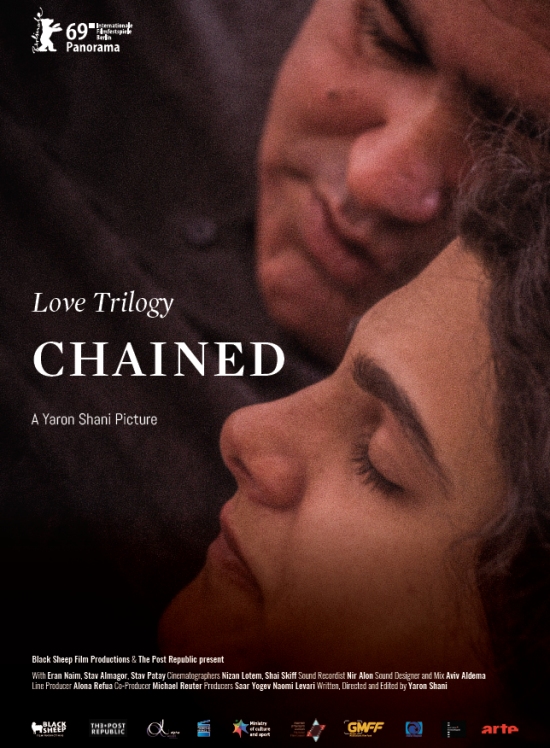 CHAINED is part of Love Trilogy directed by Yaron Shani. For almost a year, the actors experienced the deep nature of their actual and authentic life. CHAINED is deeply connected to their core identity and much of it has really happened to them. The emotions they experienced were raw and spontaneous – a laugh was a real burst of joy and surprise. Anger was genuine, not performed.